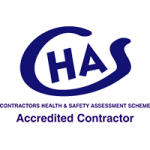 Planning your Extension or Conversion? If you would like more information of the areas we cover, contact us via the contact page. At London and Kent Construction Ltd, we pride ourselves in offering high-end building services to local customers. 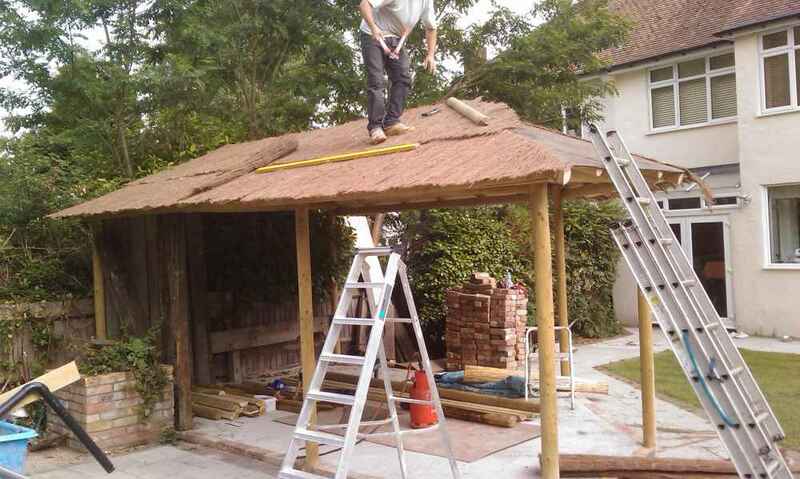 We have decades of experience in building and construction, from new builds to renovations and transforming outside areas with garden structures and patio installations, making your garden feel like part of your home. Many customers come to us because they have outgrown their homes and want to know how to make the most of their garden area. 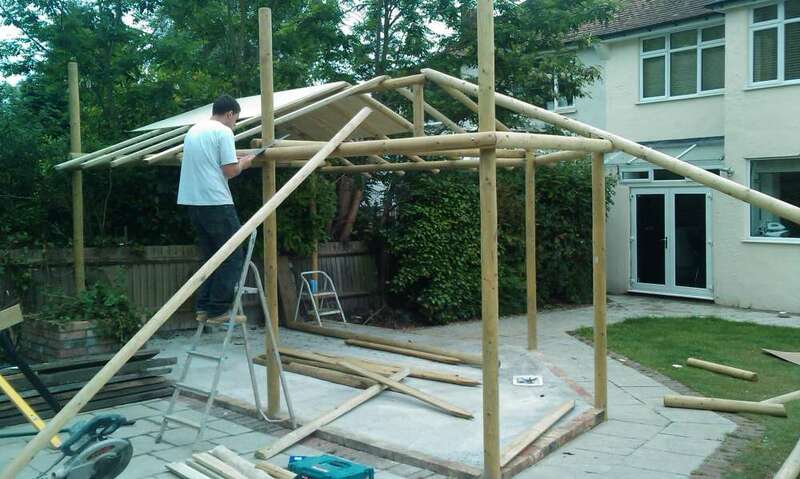 Garden structures are often the solution to the problem: they provide home owners with additional space, at a fraction of the cost of an extension or garage conversion. 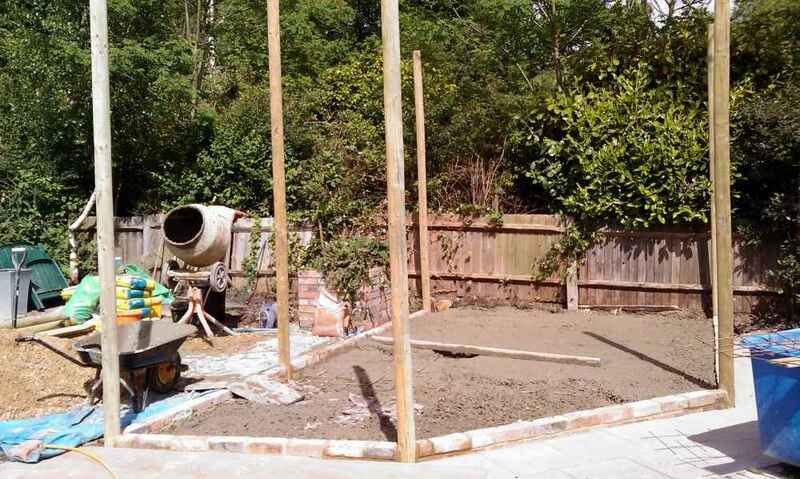 Our team of professional tradesmen and women herald from all areas of trade, including local patio builders, electricians and plumbers, which means that we are able to manage a project from start to finish. No waiting on electricians, plumbers or landscapers: you get a seamless job and great value for money. 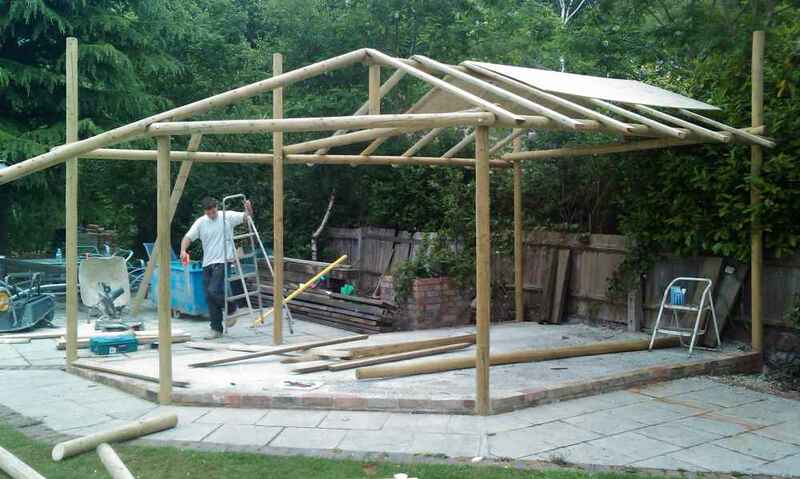 We will take the time to listen to what you want to do with your outdoor garden structure and will make suggestions on designs and materials to accommodate your needs and budget. We don’t do off-the-shelf designs; our designs are innovative, imaginative and aim to deliver on all of your priorities. 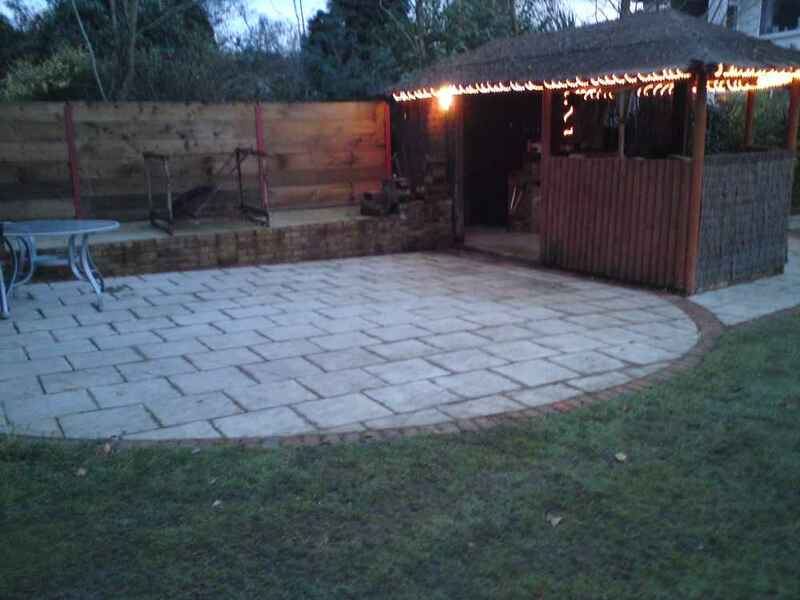 Because we have so much experience, our patio contractors will be able to advise you on particular patio installations and garden structures that will best suit your needs. You will be left with a durable, unique garden area that you can enjoy throughout the year, rain or shine! 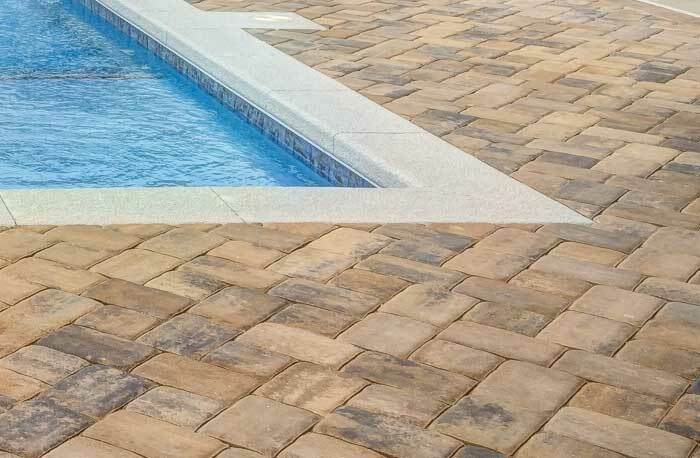 Every patio installation is different, depending on how it will be used, the customer’s budget, and our patio contractor’s recommendations. 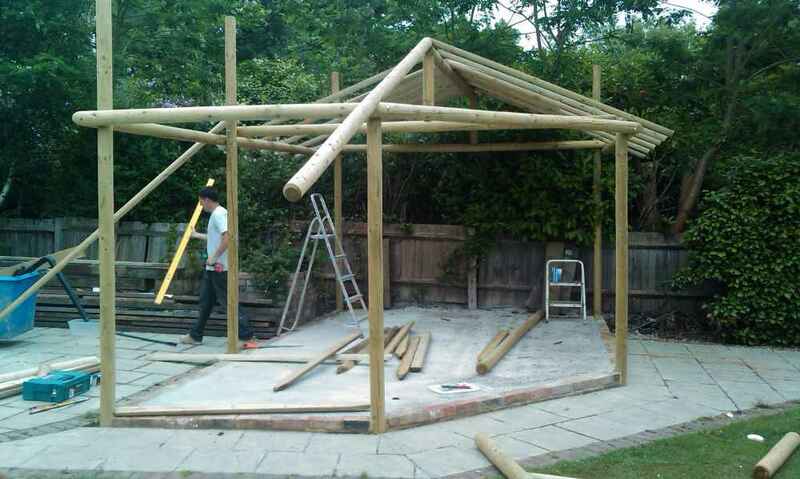 Summer room, garden bar area, a chill out zone, hot tub or Jacuzzi shelter; call it what you want. Our clients wanted to create a relaxed outdoor area that could be used by all members of the family, whatever the weather. They didn’t want their garden to be dominated by their “outdoor den” and wanted something that would fit in organically with their garden. 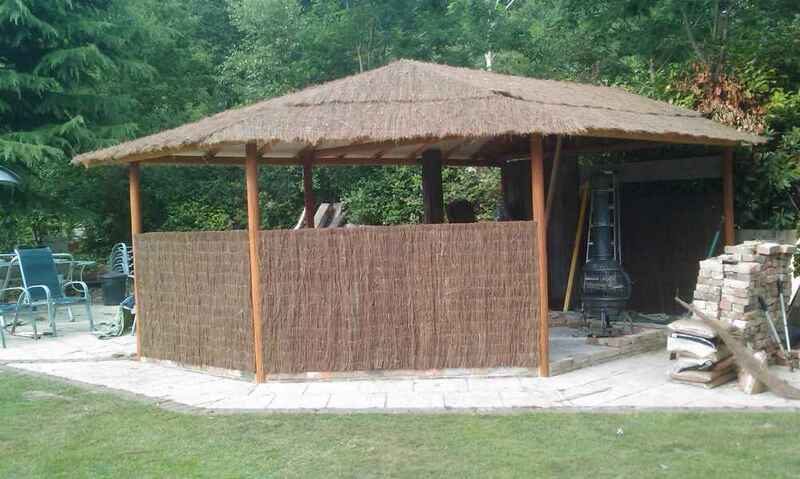 We built this small shaded bar area as somewhere to sit and watch television, play darts, pool or to house a hot tub. A great place to have a cold beer or glass of wine in the garden with your friends and family. If you like Mediterranean-style outdoor living and entertaining this is for you. Gone are the days when you worry about the weather, or stoically barbeque in the rain during the Great British summer. 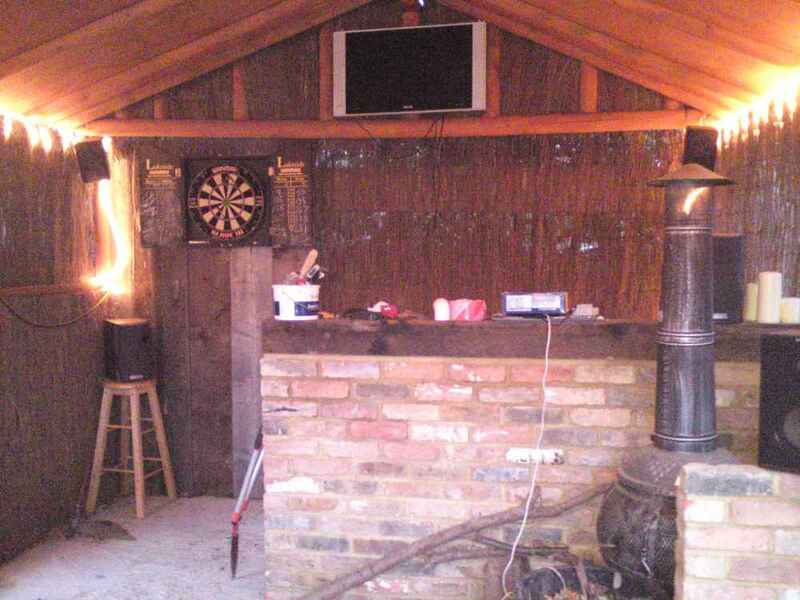 You can barbeque, watch television, play games, or sit by the chimenea. 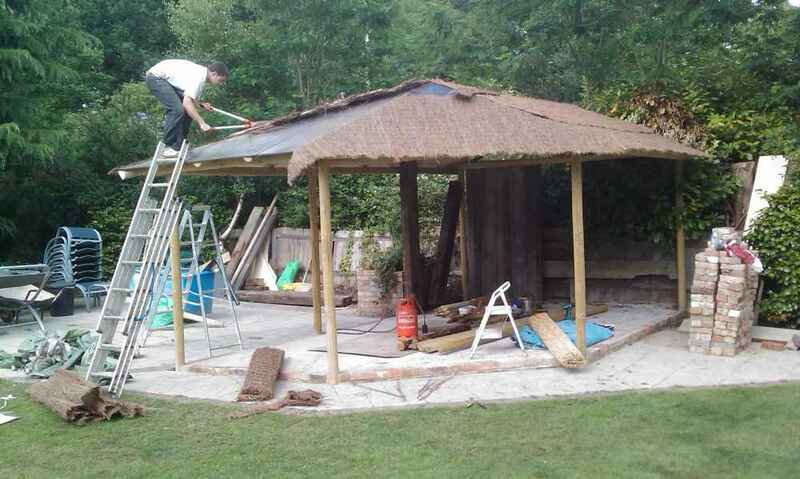 We can design and custom build these shelters to any size, to suit your needs. What’s more, it’s great value for money! 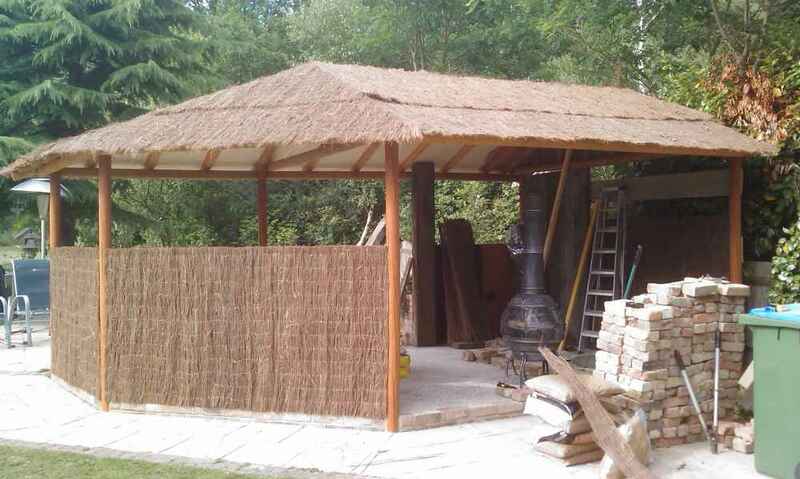 This outside living area was built for under £6,000.00 plus VAT. It is 5 meters x 3.5 meters with an outside sink and electrics – installed by our own qualified electricians and plumbers. As you may expect, our services are in high demand. 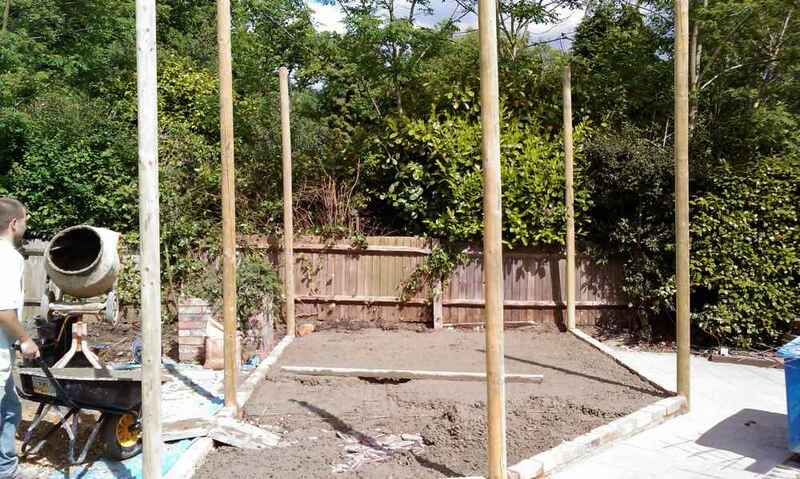 Because we are local builders at heart, we stick to our roots and only undertake work in certain areas of London and Kent. We pride ourselves on our imagination, high standards and excellent service. 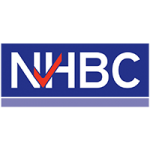 To help us to give our customers great, long lasting results, we are members of The Contractors’ Health and Safety Assessment Scheme, Constructionline and NHBC. 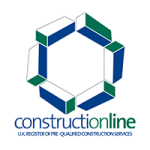 Founded in 1995, London and Kent Construction are based in Eltham SE9.We are a construction company that serves a broad range of clients and has a widely recognised expertise in the areas of renovations, extensions, loft conversions, cellar/basement conversions, maintenance and new builds.